We offer high quality doors that are incorporated with the latest technology as well as trend. We are in possession of a variety of storefront doors that are of high quality and made from the best available materials. Regardless of if you are thinking of installing a door that is automatic for your office or a door that is fireproof for your store, DC Local Locksmith Experts is the appropriate firm to handle this. Storefront doors repairing and installation is among the commercial locksmith services that we provide at DC Local Locksmith Experts. Our 24/7 DC commercial door services will guarantee that customers in Washington, DC and surrounding areas get the most satisfaction and convenience. We are experts in replacing and fixing storefront doors in addition to providing all commercial and residential door-related products as well as services. We have a wide abundance of designs and styles that customers can choose from. 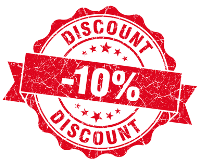 They range from antique to classic themes and also customized themes may be provided upon request by a customer. We believe that the customer is the boss and we ensure that we serve you with the highest quality service. Our clients are able to feel comfortable transacting with our experienced fast and friendly technicians and we answer all of your questions in a prompt and appropriate manner. We have a team that is bonded and insured and comprised of skilled experts and staff members who have 5+ years of experience. With the wide variety to choose from, customers will without a doubt be inspired to pick us as the ideal firm to cater for their storefront door installation in DC. We offer high quality doors that are incorporated with the latest technology as well as trend. We are in possession of a variety of storefront doors that are of high quality and made from the best available materials. Regardless of if you are thinking of installing an automatic door for your office or a door that is fireproof for your store, DC Local Locksmith Experts is the appropriate firm to handle this. We at DC Local Locksmith Experts provide bonded and insured professionals with 5+ years of experience for our door replacement services. When it comes to install and repair of storefront doors we are absolutely the best. Our highly trained experts will visit you at your business and evaluate and recommend the real needs for your commercial doors. Regardless of whether it is door jamb repair or installation of door hardware, we are absolutely the best choice to handle the work. Supposing you want to inquire about door frame repair or door hinge repair, all that will be required of you is to make a simple phone call and for sure all your queries will be attended to at a zero cost. We at DC Local Locksmith Experts definitely make install and repair of storefront doors to be simple for our customers. When your potential customers visits your store for the first time, the thing they notice at first glance is the door. This makes it very important that you make good first impression. We are here to help you in this by providing various styles and designs that you can choose from. DC Local Locksmith Experts offers upfront pricing on products as well services to all clients in the Washington, DC and surrounding area. Our services which are fast and friendly will absolutely leave customers smiling and always wanting to come back again. With our 24/7 DC door services, firms will not need to worry about losing customers as a result of exterior doors that are broken or unattractive. 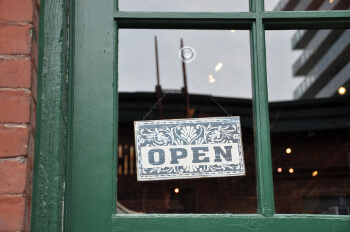 The storefront doors that we provide will leave your clients with a lasting impression. We offer our services throughout DC as well as in the neighboring areas. For this unique 24/7 service, upfront pricing, and 30 minute response time make sure you contact us or visit our help desk. We have very competent experienced staff, who are knowledgeable, honest, fast and friendly. They will answer all your questions and ensure you are satisfied. If you are looking for storefront door replacement or repair or any other commercial, residential, automotive or emergency locksmith service in Washington, DC or surrounding areas call DC Local Locksmith Experts today. 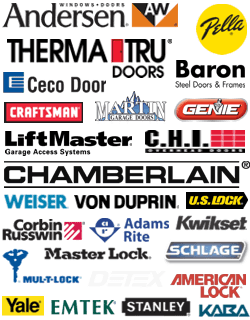 Storefront Doors https://dclocallocksmith.com/storefront-doors/ 4.0/5 based upon 30 reviews.